Come visit us at registration from 4pm to 8pm today, and skip waiting in line tomorrow morning! Fire Circle: Southern Fire Exchange - Making a Difference? Future climate change is expected to result in global warming and variable changes in precipitation. Experts from the U.S., Canada, Spain, and Australia will address diverse aspects of the impact of these changes on future fire regimes. Special Session: Where's the Biodiversity in Fire Management? All students welcome! Come meet your fellow SAFE members, share updates on our chapters, elect new national officers, and help shape the future of SAFE. Special Session Cont'd: Where's the Biodiversity in Fire Management? Members of all Prescribed Fire Councils across the country are invited to this facilitated discussion focused on results from a recent survey of PFC Presidents. This information will be compiled into a report/white paper and/or journal article. This Fire Circle will expand the discussion initiated during Tuesday’s Southern Appalachian Wildfires of 2016 Special Session. Fire Circle: Enhancing Understanding and Implementation of the Cohesive Strategy through Learning Laboratories. Speakers will provide information about what a prescribed burn association is, what it can do for landowners, agencies and the community, along with how to form and maintain one in your area. Three tracks in this Session showcase progress-to-date in implementing these components of the IRFMS: the central, foundational science which supports implementation of the strategy, and field-based examples of IRFMS implementation. Speakers will begin setting the stage for restoring Fire Integrity over the next 10 to 20 years on lands committed to maintaining a full complement of natural diversity of birds, plants and animals. We need to lay the groundwork for a new plan. This will be a moderated open discussion following the Prescribed Burn Associations: Landowners Effectively Applying Fire to the Land Special Session. Fire Circle: Building a Connected Wildfire Community – What Are We Missing? Special Session: The Fire Science Sandbox: Who Provides What Science Support on Wildland Fire? In two-sessions, we will first identify who provides what science support on wildland fire and how these entities work together and complement each other, and second, the types and consequent value of funded collaborative research. David Jones (Speakers) Senior Software Analyst, Technosylva Inc.
Special Session Cont'd: The Fire Science Sandbox: Who Provides What Science Support on Wildland Fire? Presentations will focus on long-term vegetation recovery, plant species diversity, tree regeneration, and fuel conditions based on measurements in 15 mixed severity wildfires and supplemental sites distributed across eight states. Join us as we honor our 2017 award winners. We will be giving out our three Lifetime Achievement Awards, a Student Excellence Award, and more! A panel will discuss career opportunities for students in fire ecology and management. This Fire Circle will follow, and build on discussions from, the Monitoring Vegetation Recovery a Decade Post-Fire in Five Western North American Ecosystems Special Session. 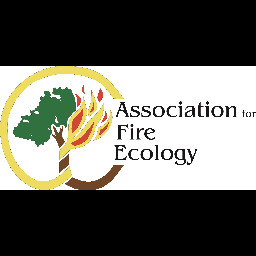 This session will address research and monitoring studies investigating first- and second-order effects of fire on ecosystems based on direct measurements or indirect estimates of the soil heating process. We will highlight the collaborative successes to-date and challenges to come in ALRI’s ambitious goal of restoring 8 million acres of longleaf habitat across the southeast by 2025. This Fire Circle will serve as the roundtable discussion for the Quantifying Responder Exposure to Improve Large-fire Response Decisions Special Session preceding it. This specially selected panel of speakers will showcase some of the research works-in-progress of fire ecology and management students from across the country. Indeed, student researchers aim to boldly go where no fire ecologists have gone before! Fire Circle: The Charoflux Metric: A Novel Metric for Wildfire Analysis and Management?